Tax season is upon us; now is the time for reviewing incomes and expenses, filing papers, logging into TurboTax or making a trip over to HR Block. But this busy season isn’t just a time where employees are rushing to file by April 15; employers are feeling the pressure of this tax season too. One surefire way companies can help lighten the load this time of year is to hire temporary workers. Leading staffing and recruiting agency, Adecco USA, advises corporate tax managers to assess whether or not they have the skills and capacity in house to efficiently manage the process—and that they should do this before tax season. The agency also agrees that companies can utilize temporary workers to help streamline tax season operations, both large and small. In its article, “Staffing Up for Tax Season,” the company writes, “Oftentimes managers view temporary staff as a solution for low-level administrative tasks, but well-trained and experienced temporary resources are also available and offer employers highly-specialized skills. President of Finance & Accounting at Chicago-based Addison Group, Jay Houston, also believes that companies can benefit from adding temporary workers during this time of year. Pat Porter of Rea & Associates explains that companies should view hiring seasonal tax help the same as a normal hiring process. “Thoroughly interview candidates, ask for examples of their skills and experiences, and don’t forget to explain the responsibilities of the position,” Porter writes. In “Hiring Seasonal Help for Tax Season.” Be sure to determine and communicate the required number of hours per week and whether or not the candidate will be expected to work overtime, he adds. In this context, contracted tax workers can be like interns where a company has the opportunity to gain real-life experience to determine whether or not a worker is suitable for permanent hiring. And speaking of interns, Houston also notes that accounting interns can also serve as seasonal employees. Using qualified interns (and they don’t just have to be college students) is also a cost-effective method of gaining help during tax season. Not only does this benefit your business by adding an extra set of hands and skills, but the interns also gain practical experience to add to their resumes. 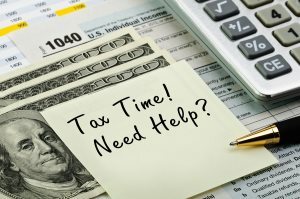 Is your company considering hiring seasonal tax help? Why or why not?